Employees often have personal items mailed to them at work rather than home for a variety of reasons. Perhaps no one is around during the day to receive a package and they're concerned about it being left on their front step. Or maybe they're trying to surprise their spouse with a gift. Or, instead, they're trying to hide something from their spouse. Employees should be warned that they can't hide it from their employer, if they choose to have it sent to work. a former official, employee, agent, etc., at the address of the organization. This includes mail endorsed "personal" or "confidential" for a specific individual. The USPS's responsibility for the mail ends when it is delivered to the organization. Then, how the mail is handled is up to company policy. If there are disputes, mail is delivered in accordance with the wishes of the company's president, chief executive officer, or equivalent officer. It is perfectly legal to have your Mailroom open all mail before sorting and delivering it. In those organizations, it should be easy to get employees to understand that they have no expectation of privacy and that they should not have anything personal sent to work that they don't want others to see. 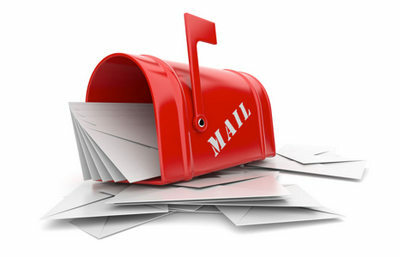 Issues are more likely to arise in organizations where the mail is typically delivered unopened. You should still maintain the right to open employees' mail, if necessary. Be sure to explain this right to employees. Of course, this doesn't mean that managers should be allowed to do so on a whim. For employee morale reasons alone, your mail policy should prohibit managers from opening employees' personal mail without good reason. There are other limits you may want to consider putting on the opening of employees' mail by others. One company that has administrative staff open all mail makes an exception for mail that comes from its testing facility, because it can contain confidential medical information. Any mail from the facility is delivered, unopened, to the Safety Director. Consider making an exception for mail that comes from your payroll and benefits providers, or that is addressed to your payroll and benefits managers. Do you praise poor performers too much? Could nonexempts' use of smartphones cause wage-and-hour liability? Paralegal representing Plaintiff sent Defendant’s court case to financial workplace. Letter was registered & addressed to Defendant (not marked Personal/confidential). Mail room opened letter & sent to Human resources who turned it over to employee’s manager- possible that other mailroom employees read the letter. Employee embarrassed, fear of losing creditability & job. Could this be put forward by Defendant in court as illegal? I tried to return a box that I had not opened to the company from which it came. I called the company and wrote, as they had instructed me, on the front of the address label, and just X OUT MY ADDRESS. I knew I wouldn’t have to pay postage because LIKE i said I had NOT opened it. However, a couple days later the package was returned to me, OPENED! With a note saying I had to buy postage in the amt of 10.00 before they could return it. When asked why they couldn’t just return it, I was told I should have written ” REFUSED” on the front. Well I could have went ahead and done that except NOW, SOMEONE AT THE POST OFFICE HAD OPENED IT! NOW I CAN’t RETURN IT, unless I buy postage! The package came from a reputable company so there was no reason to inspect the package. To me, THAT IS WRONG IN SO MANY WAYS. Is there anything I can do?